Thank you to the great people behind Article Magazine for sending us this exclusive behind the scenes image of Hugh during his photo shoot for Issue Six of Article Magazine. 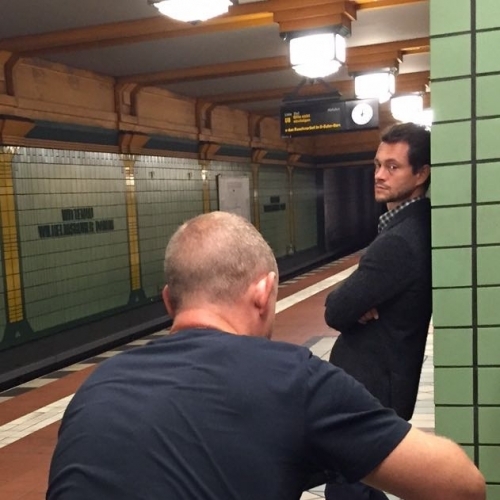 The magazine shoot was taken at Wittenau station in Berlin by photographer Matt Holyoak. You can view the image below as well as in our photo archive. Remember to pre-order your copy of Issue Six now before it hits official newsagents in mid-November. (also if you pre-order now, you can get the collector’s edition of issue six).